FAN MAIL WEDNESDAY #269: Gerard in the Philippines! I am Gerard _______, a Grade 11 student of Mapua University in the Philippines. 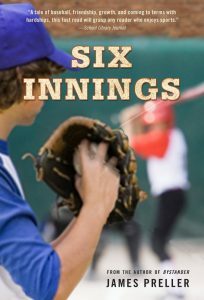 I became fond of your book “Six Innings” because as a former student-athlete myself, I love sports and this book particularly caught my attention as one of my favorite sports is actually baseball. 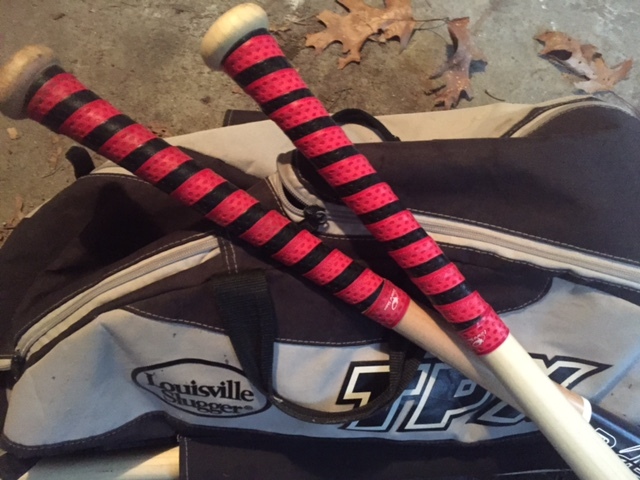 I got interested to playing baseball growing up as my father was once a baseball pitcher. I would like to commend you for your amazing book and its success. Personally, every detail of the book was very well put together and I liked the fact that I can visualize every word of the book. You put a lot of thought into making this book, and that is a testament of how passionate you are about your career. I genuinely enjoyed reading every bit of your book. Apart from that, I know playing sports really does instill valuable lessons in life. As an author, where do you find the inspiration in writing “Six Innings?” I know every author has his or her inspiration. I would like to ask you this because I would try my luck in writing and telling my own stories, and garnering information from you would really help me. You really did inspire me through your book. As I was reading your book, I keep getting flashbacks of my time as a former student-athlete, and looking back, I realized how much I have grown and I saw the things I was not able to before. Keep inspiring your readers as we have, hopefully, inspired you as well. I would like to express my sincerest gratitude for inspiring me in all aspects of my life as a son, as a student, and as a person. I wish you all the best in your career. Thank you for taking the time reading my email. I will be looking forward to hearing from you. Inspired by Gerard’s inquisitiveness, I replied at length . . . Thanks for your letter all the way from the Philippines (that’s one “l” and two “p’s” for the spelling-challenged, I tell myself). While I have previously enjoyed receiving letters from far-flung places, it never ceases to amaze me. Some dude named Gerard in the Philippines read my book! We connected across all the distance. Aren’t books amazing? Such a solitary process — the writing of a book, as well as the reading of a book — and yet here we are, connected, a lit fuse. You asked about my inspiration for Six Innings. Since you are obviously a thoughtful reader, a little older and — maybe? — a writer yourself, I thought I’d try to answer that with a little more detail than usual. Inspirations are slippery things, very hard to pin down. Once you think you’ve got it — ah-ha! that’s why I wrote the book! — it squirts away like a bar of soap. There is rarely, for me, one single inspiration. It’s more of an accumulation of events, perceptions, feelings. At a certain point you commit to a path, start hacking away in the jungle, and there’s no turning back. But let’s begin with my mother. She was a huge baseball fan when I was growing up. My mother loved the Brooklyn Dodgers when she was a girl in Queens, NY, and later transferred her allegiance to the NY Mets. At a certain point, I came along, her seventh (and best) child, and shared her love of the game. I now believe that my love of baseball is also an expression of my love for my mother, the two are deeply connected in my mind and heart. I have vivid memories of playing Little League baseball when I was a small boy — I can tell you exactly what happened on baseball diamonds nearly 50 years ago, which is crazy. That stuff stayed with me. Forever, it seems. And that awareness informed me that it was also true for other kids. These games were important to them. It mattered. It was where they lived. Later as a father, I had the opportunity to coach and manage many teams and hundreds of games at every level (even adult). So I began to see the game from that perspective, too. I also enjoy reading baseball books, and I’ve read quite a number over the years. In fact, I have a pretty good collection of baseball classics on my bookshelves. It felt inevitable that one day, I would give it a try. I wanted one of my books on that shelf. Then I had my “magic ball” idea (which I ultimately abandoned, but nevermind!). I was watching a film by John Sayles, I can’t recall which one, and it featured a long tracking shot. It occurs to me that I might be making this all up, something I imagined, but hang with me, Gerard. The camera follows a man as he enters a crowded party, people coming and going. A woman walks by and — whoosh! — the camera shifts and follows her. She bumps into someone else and — whoosh! — the camera swerves and now follows that person. It was all fluid and organic, not accomplished with editing, but via one long shot with a camera on wheels. The camera simply followed the next person to come along. And I thought, Could I do that with a baseball? The pitcher holds the ball. I tell his story. The ball is thrown, the batter hits it, the center fielder races it down in the outfield. I tell his story. And so on. It could be that a foul ball goes into the stands — I can now tell that person’s story, the mother, the uncle, the friend. Just keep following the ball. My idea was to use the game to explore all these characters on the field. Through the initial writing process, and the editorial back-and-forth, we decided to hone tighter to the game itself. I had to cut more than 10,000 words of character sketches, background info. It struck me that books move in two directions. Forward, or down. Forward means action, the plot moving along. Down is when we develop character, go deeper into things, stop time. When you write a book, that’s the tension — between forward or down. It’s very hard to do both at the same time (but possible in brief moments of revelatory action, where the action serves as a revelation of character). However, when a writer spends too much time exploring character, too much time digging, the plot stalls. There’s no forward motion! At the same time, if a book is only forward motion, a giant chase with nonstop action, then readers won’t connect with the characters. Which is to say: My notion for the book ultimately failed in the first draft, in part, because I lost track of the forward motion (which was, of course, the game). Once I revised and got tighter to the game, I found there was still room to explore character; I just had to strike the proper balance. Every reader, of course, has his or her own preferences. Some people like a lot of plot, the page-turner; others want the depth of character, the closely observed scenes. Thanks for your letter, Gerard. Dream big & swing for the fences!